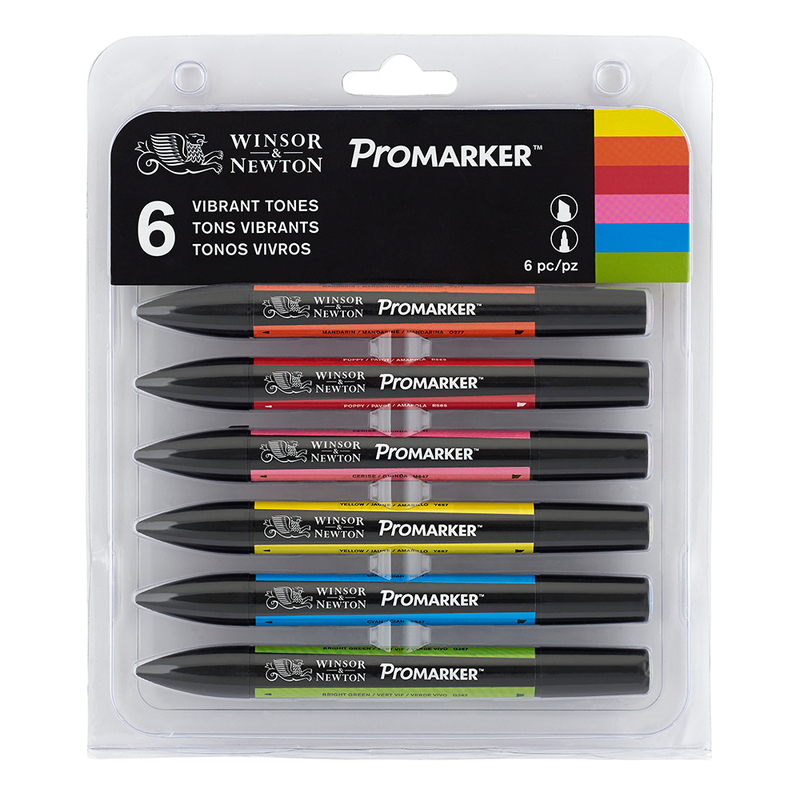 Expert, versatile and boasting an unrivalled colour spectrum, the Winsor & Newton ProMarker is a must-have, professional quality addition to your marker collection. Twin tipped, with high quality broad chisel nib and fine bullet nibs for consistent, streak free coverage. 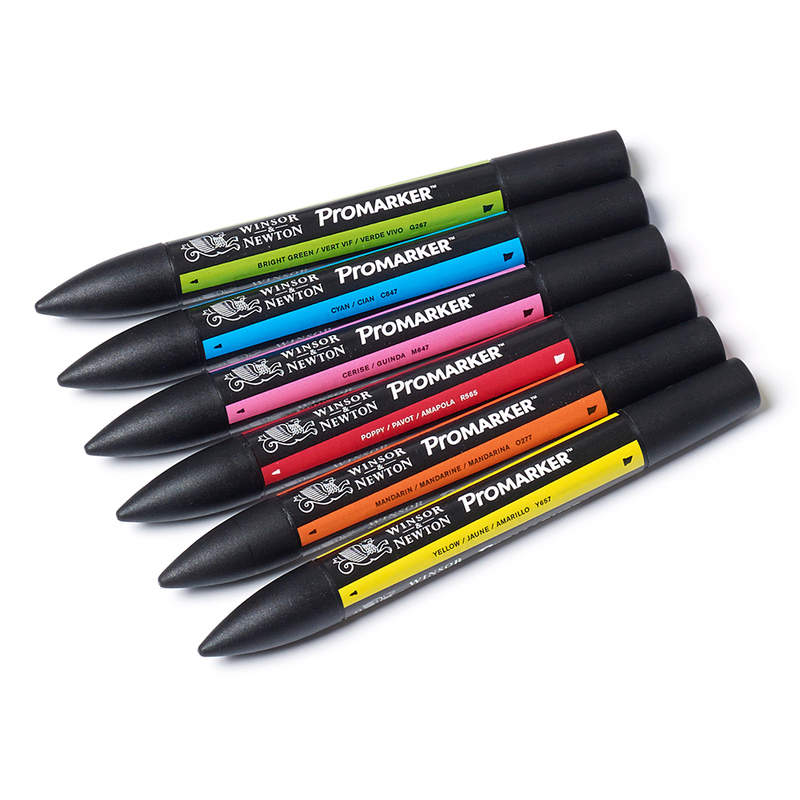 The markers are blend friendly, with malleable, alcohol based, translucent ink. 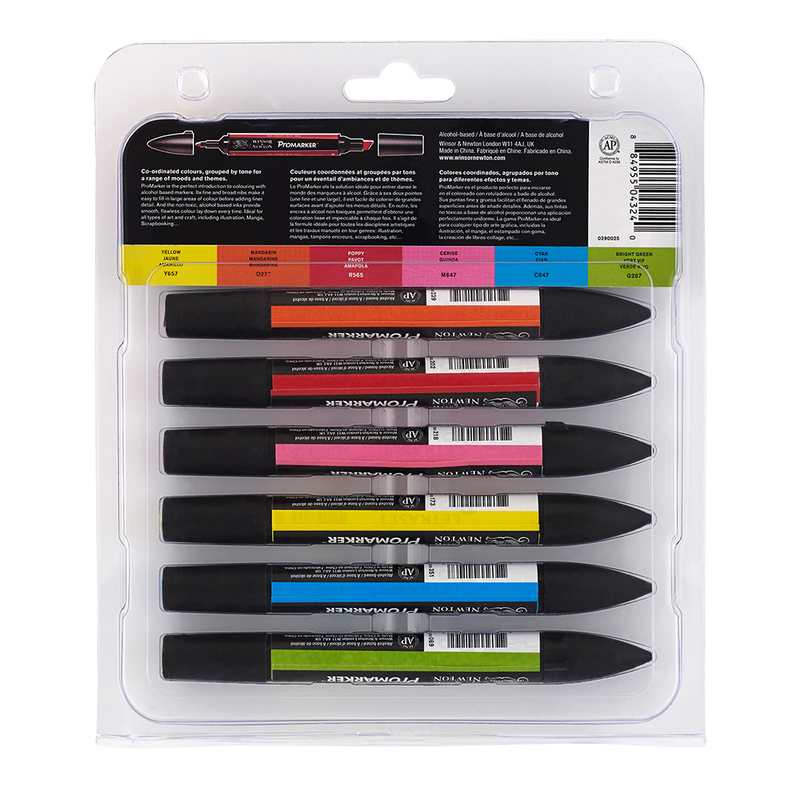 Skilfully versatile, they can be used on ink-resistant surfaces like acetate, glass, plastic and wood. We recommend using your markers with the Winsor & Newton Bleedproof Marker Pad for optimal results. 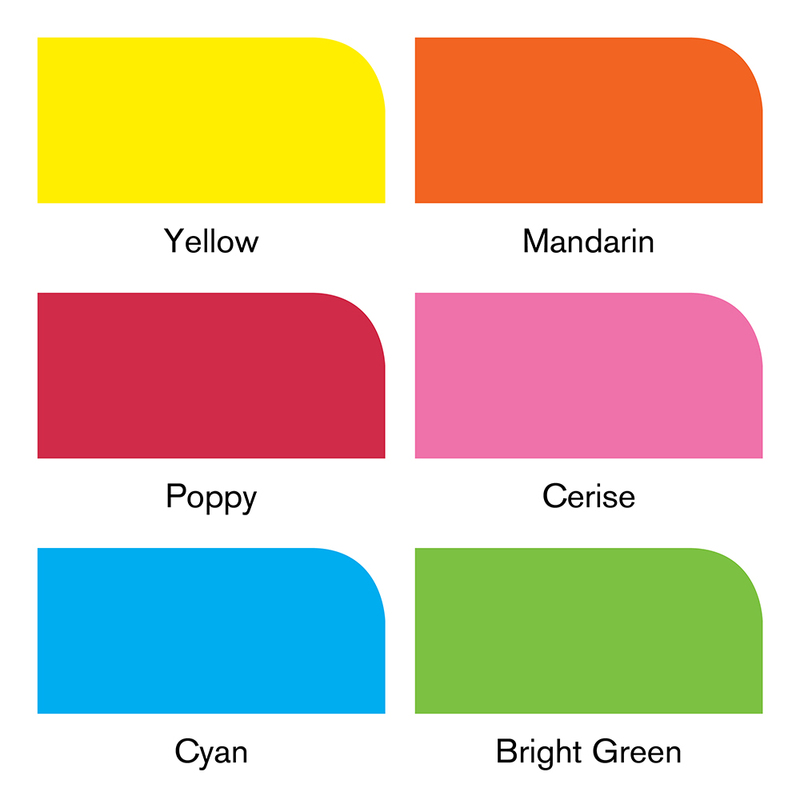 Bristol board, smooth cartridge paper or hot pressed watercolour paper can be used as an alternative.